James Phillips’ art has been linked to his association and consequent membership with the organizations Weusi and AfriCobra. However, his accomplishments are highlighted rather than mirrored by the association of these two groups that led the Black Arts Movement of the 1960’s and 1970’s. African spirituality was the ignition, which these artists used as the connective link to the past, and African spiritual heritage was, a strong motivation for producing the art. Through the influence of Ademola Olugebefola and other contemporary African artists and 20th Century African American artists Phillips developed his own personal style of painting. He incorporated African patterns and designs throughout his compositions which included foreground and background to portray one design. In 1973 he became a member of AfriCobra, because some of the members were starting to use similar patterns and motifs to his. That evolved into what young writers and art historians are calling the AfriCobra style or tradition. What sets James Phillips apart is his inherent sense of aesthetics, and how noted art historian Dr. Rosalind Jeffries describes Phillips as a “master of pure color”. James Phillips has exhibited both nationally and internationally. From coast to coast and points in between as well as the United Kingdom, Japan, Africa, St. Croix, Brazil, St. Martinique, Germany, Haiti, and Italy. Phillips' work is received with both awe and admiration, for each painting is a veritable kaleidoscope of color. To his credit, James Phillips’ work is included in several well known collections as well as numerous private collections. His works have been specially created for public art projects for the city of Baltimore, Howard University in Washington, DC, the Department of Parks in New York City and the transit system for San Francisco, California and is highly collected by individuals throughout the nation. In 2014 James Phillips' Sankofa II was added to the Smithsonian Institution's permanent art collection. The painting will be displayed in the National Museum of African Amerian History and Culture, scheduled to open in 2016. In 2006, the Art in Embassies Program of the United States Department of State purchased two of Phillips’ paintings Water Spirits and Rainbow for Charles for the American Embassy in Togo. In 1995 Hampton University acquired a piece of his work entitled Soul and Spirit of John Biggers for their permanent collection. And in 1994 Phillips was commissioned by the Philadelphia Airport to create a permanent piece of art for their domestic wing. A triptych of a stylized Airport situation with a flight tower, ground transportation, planes taking off and landing and stylized runways are incorporated into the body of the work and is entitled Gateways to The World. Included in the Schomburg Center for Research in Black Culture Arts and Artifacts Collection of the New York City Public Library are two of Phillips’ works Black Unity (1972) and Deification of Shango (1994). James Phillips currently lives in Baltimore, Maryland where he works from his studio located in his home. 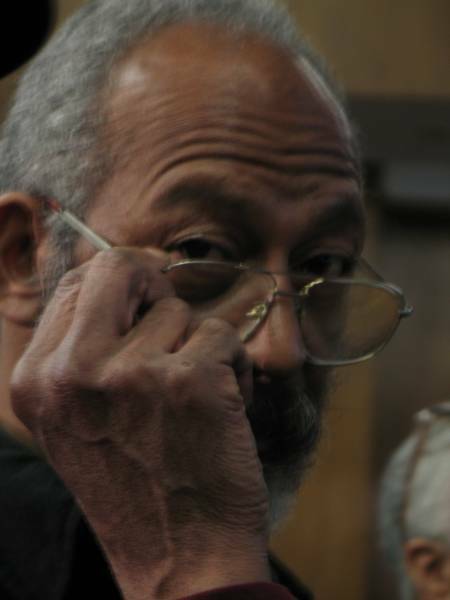 He also teaches painting and public art in the Department of Fine Arts at Howard University, Washington, DC. Since 1976 he has been both a mural consultant and a lecturer.